Inter-Simple Sequence Repeat Polymerase Chain Reaction (ISSR-PCR) is a reproducible and relatively inexpensive DNA fingerprinting method for animals, plants, fungi and bacteria. It is based on the amplification of genomic regions between microsatellite loci. Running this versatile typing method on an automated DNA sizing system such as the QIAxcel Advanced System reduces the number of manipulations required as well as the time to result. 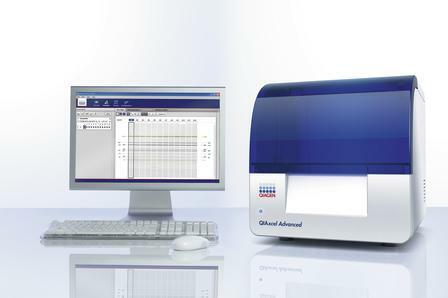 Raw data files from the QIAxcel Advanced System ScreenGel® software can be imported as densitometric curve files or peak table files in BioNumerics with the QIAxcel plugin. The plugin makes it possible to link any sample information (e.g. sample names) provided in ScreenGel to entries in a BioNumerics database. After ISSR fingerprints have been imported, they can be reliably normalized. Automated peak-calling algorithms allow rapid assignment of bands. 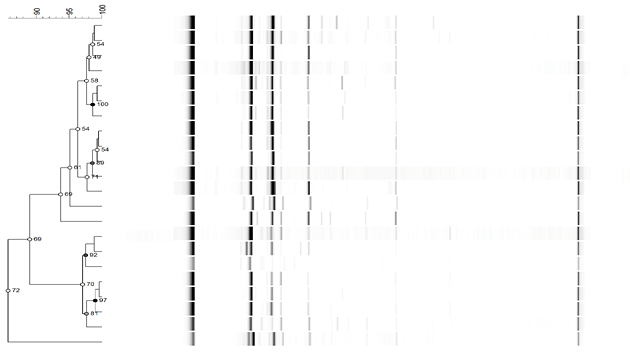 Optionally, the software can exclude interfering primer dimers by discarding all peaks below or above a certain peak height. After these fast and easy preprocessing steps, the electropherograms can be compared, e.g. by calculating dendrograms based on peak presence/absence or densitometric curves. For more details, download the PDF version of the QIAxcel application note. Other genotypic typing techniques that can be ran on a QIAxcel Advanced System include Randomly Amplified Polymorphic DNA (RAPD), repetitive element PCR (rep-PCR) and Multi-Locus VNTR Analysis (MLVA).